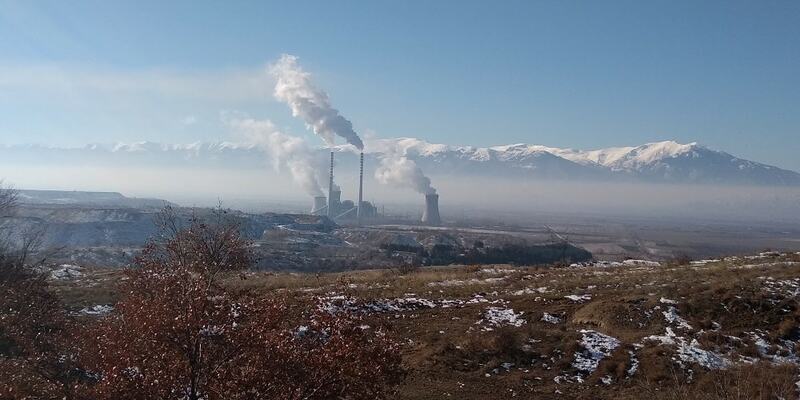 The village is home to Macedonia’s REK Bitola complex consisting of a 675 MW lignite power plant, a large part of mines and ash disposal sites. Spread out to the east of the village, they create a high concentration of polluters on a small area. Novaci and several other surrounding villages are taking the main blow. To assess the severity of the problem, we included Novaci in our independent air quality monitoring of Balkan pollution hotspots. In November-December 2018, we monitored air quality in Novaci over a 30-day period. The measurements show that the limit values for both coarse (PM10) and fine (PM2.5) particles were exceeded almost every day. On many occasions, they were two to three times over the established limits. With the EU Directive on Ambient Air Quality completely transposed in Macedonian legislation, the limits are the same as in the EU. The 50 micrograms/m3 daily average limit for PM10 was exceeded on 22 days in one month. This makes up nearly ⅔ of what is allowed for the whole year – 35 exceedances. Half of those exceedances were two or more times over the limit. A deeper analysis of the results shows hourly mean values up to 400 micrograms/m3, with short-time values regularly going up to 800 micrograms/m3. While combustion is also a source of PM10, the significant difference between the PM10 and PM2.5 values indicates that a large share of the air pollution comes from the lignite mines and the ash disposal sites. The situation with fine particles (PM2.5) is even worse. The daily average limit recommended by the World Health Organisation is 25 micrograms/m3, and only three exceedances per one calendar year are allowed. During the observed period, we registered 27 exceedances, with values going up to three times above this limit and pushing a monthly average to 47 micrograms/m3 during the observation period. At this point, reaching the established annual limit of 25 micrograms/m3 seems like a distant dream. December 7 saw the highest hourly average of PM10 values. 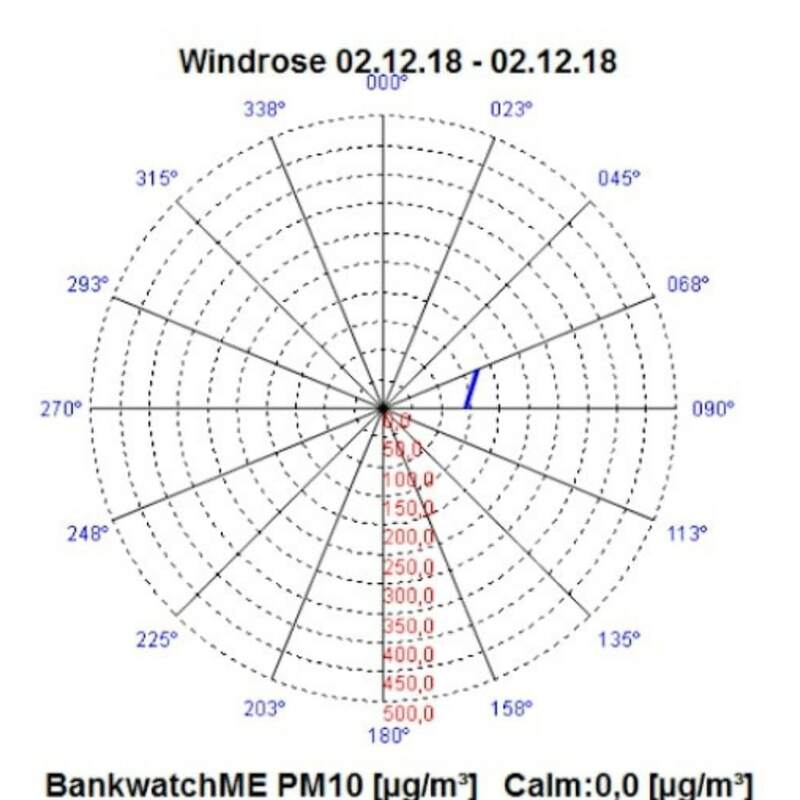 The wind direction analysis between 15:00 and 23:00, when the peaks were recorded , shows the wind blowing from the east, where REK’s mining and ash disposal facilities are located. 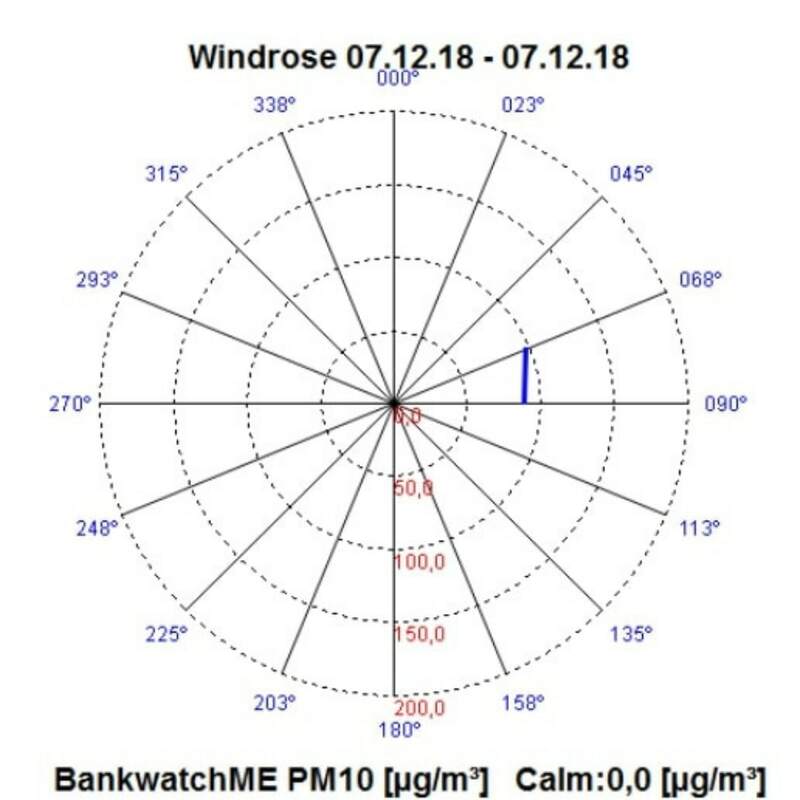 The same repeats on December 2, between 16:00 and 22:00, the day with the second highest PM10 spikes. While Macedonia is fairly advanced in the transposition of the EU acquis in the national legislation, the implementation lags behind. The REK Bitola complex is a perfect example of several governments’ failure to implement any of the relevant pollution control legislation. 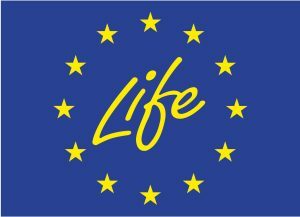 The Integrated Pollution Prevention and Control (IPPC) permitting process has been constantly postponed for more than a decade and the complex is still a long way from being in line with the Large Combustion Plants Directive (LCPD) which came into force in January 2018. The plant’s electrostatic filters are more than 30 years old; it is operating without desulphurisation equipment, which makes it one of biggest polluters in the region. Similarly to most other plants in the Western Balkans, it does not even have a continuous air quality monitoring system in place. The year 2018 showed some signs of progress on the air pollution frontlines in Macedonia. The government published a two-year Clean Air Plan in which REK Bitola is vaguely included. ELEM, the state-owned company that manages the plant, started some improvements to the ash disposal site and announced plans to change the electrostatic filters and to build a desulphurisation unit. However, the timeline for these activities is unclear and ranges from three years for the filters to more than five years for a desulphurisation unit. Waiting this long for the improvements that are already way overdue is unacceptable.